« 2013 Pumpkin Patch Shop Hop Winners! 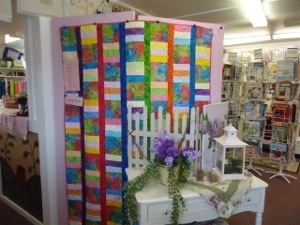 Completed passports turned in to any shop will enter the passport holder into the drawings for quilters cash cards. They can be spent at any one of the participating shops for any in stock merchandise, no purchase necessary. Individual prizes will also be drawn from each participating shop, no purchase necessary. All passport holders will receive a FREE quilt pattern just for visiting the shop, no purchase necessary. Don’t miss the great sales at every shop, various specials and discounts. Ride the bus for even more fun. It’s cheaper than a tank of gas and leave the driving to us. Call your local shop for bus schedules. All shops will provide a packet of pre-cut 5″ Batik strips. Cost to be announced. Each shop will provide a different color group of four various shades from light to dark. 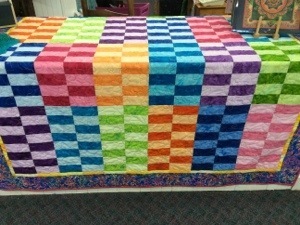 The collective group of fabrics can make any one of the quilts shown at each shop. 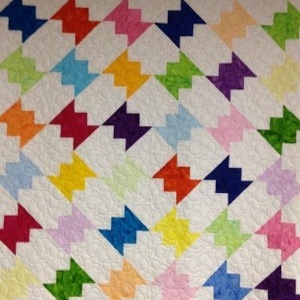 The strips can be used for any jelly roll or charm square pattern. 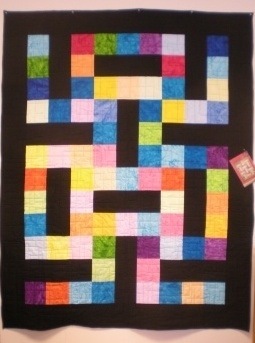 Our “free pattern” quilts will be posted as they are finished. This entry was posted on July 10, 2014 at 11:58 am	and is filed under News. You can follow any responses to this entry through the RSS 2.0 feed. You can leave a response, or trackback from your own site.